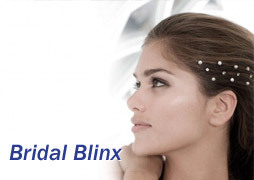 Make sure with beautifully craftted hairstyle come a beautiful piece of jewellery to really light up the room. 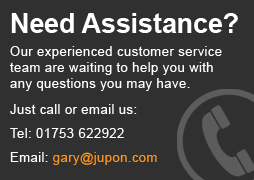 Jupon provides some of the finest Tiaras available for any Bride on her special day. 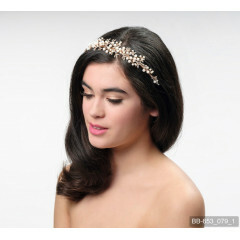 Jupon brings you this wonderful floral Tiara with Strass stones and pearls. 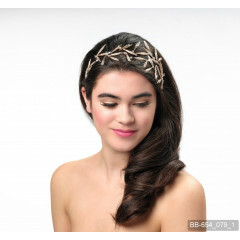 A comfortable and stylish bridal headpiece. Available in Ivory / Peach. .. This stunning Jupon Tiara sits comfortably on the top of the brides hair. 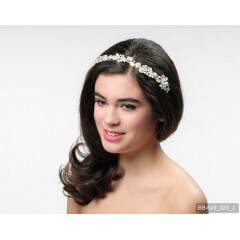 It features a thin floral design across the band and is littered with Strass stones and pearls. Available in Silver, Gold, Rose. 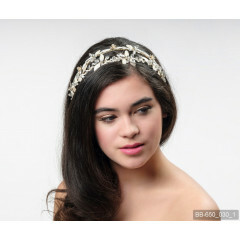 ..
Jupon presents this beautiful dual band Tiara, featuring a double row of flowers and adorned with glass crystals. Available in Gold. .. This stunning Jupon Tiara features a vine style design and is splashed with Pearls and Strass stones. A lightweight and stylish bridal headpiece. Available in Gold. ..
A stylish and modern Tiara from Jupon with a unique design and finished off perfectly with glittering Strass stones. Available in Rose. 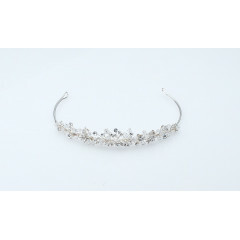 ..
A beautiful bridal Tiara from Jupon. This piece rests on a lightweight base and features a floral design with clumps of Strass stones. A very eye catching piece. Available in Silver. ..
A single band Tiara from Jupon with Strass stones dashed across the band. A very stylish piece. Available in Silver. ..
A single band Tiara from Jupon with lots of Strass stones splashed all over the band. A small and very attractive piece of hair jewelry. Available in Silver. ..
An attractive bridal tiara from Jupon with an intricate design running across the band and finished off with Strass stones. ..